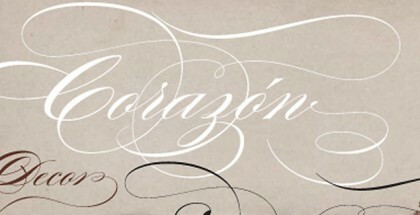 Yeah Script is an upright condensed brush-written face with artistic expressive look. This high contrast display face is probably the ideal choice for almost any kind of signpainter job. Emotional, attractive even a bit aggressive Yeah Script is one of those fonts that hide a lot of potential behind the glyphs. It is equipped with large set of additional characters available in OpenType aware software. 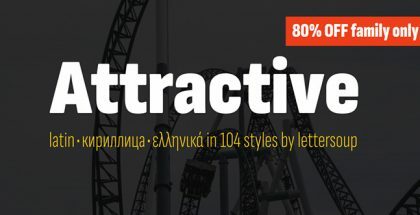 You could easily pick from a bunch of cute alternates, fancy ligatures, unique swashes that bring more natural and professional feeling to your work. 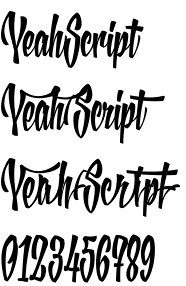 Yeah Script is excellent choice if you decide to create vintage logos, food packages or t-shirts. It will do a great job if you use it for short headlines or phrases as well as for brand names, single words etc. Because of its high contrast, Yeah Script could be easily combined with outline, color gradient fill or even stronger harsh drop shadow. 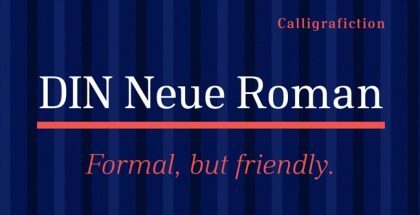 It performs great when exposed against solid colour background, but you could easily place it against detailed dynamic background with lots of objects, colours etc – this is again because of its contrast and of course because of its enhanced legibility. Our conclusion – Yeah Script is unique script face with charm, freshness and style. Following the tradition of old signpainters it will surely bring their time of crafts and hand-lettering back to our modern life where digital technologies dominate over traditional approach in creating art. Yeah Script is designed in 2014 by Lecter Johnson and published by Doubletwo Studios. 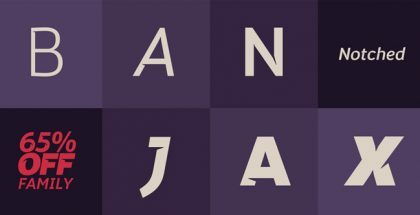 For more fonts by Doubletwo Studios click the links below: Yonia font, Centar font, Mescaline font, etc.